If you’ve made a purchase online or over the phone, you’re probably familiar with the three sets of credit card numbers you have to hand over. These numbers include the credit card number, the expiration date and the CVV. If you’re an online shopping pro, you’ll know where to find the CVV. But what exactly is the CVV on a credit card? A credit card’s CVV acts as another line of security against fraud. The CVV, or card verification value, can also be referred to as the CSC, or card security code. These numbers serve as one of the most important anti-fraud measures for a credit (or debit) card, especially with the rise of virtual transactions. So when you make a purchase online or over the phone, giving the CVV assures a merchant that the purchase is legitimate and authorized. When you use your card in person, retailers can check your ID to make sure you’re the cardholder. But merchants can’t do the same when you make an online purchase. Instead, the CVV serves a substitute for personal identification. Plus, your card carrier can verify your card’s unique CVV in the event verification is needed. Not all merchants require you to enter your CVV when making a purchase. This doesn’t make a merchant illegitimate, however. In any case, you always want to make sure you’re handing over your credit card information to a merchant you trust. Card carriers print their CVVs in different places on their cards, so it’s important to know where the CVV is on your card(s). If you have a Visa, Mastercard or Discover card, you can find the three-digit CVV on the back of your card to the right of the signature strip. The number may also be adjacent to either your full credit card number, or just the last four digits of it. However, if you have an American Express card, you can find the CVV on the front, right side of your card. 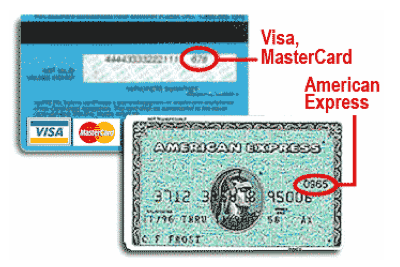 Also note that Amex calls this number a card identification number (CID). An Amex CID is also four digits instead of three. A card’s CVV comes in handy mostly for online purchases. Again, it acts as another line of defense against fraud. So even if a hacker gains access to your credit card number, expiration date and full name, they still need your CVV to complete the transaction. Luckily, CVVs aren’t as easily obtainable as your other credit card information. This is due to the Payment Card Industry’s Data Security Standard (PCI DDS). 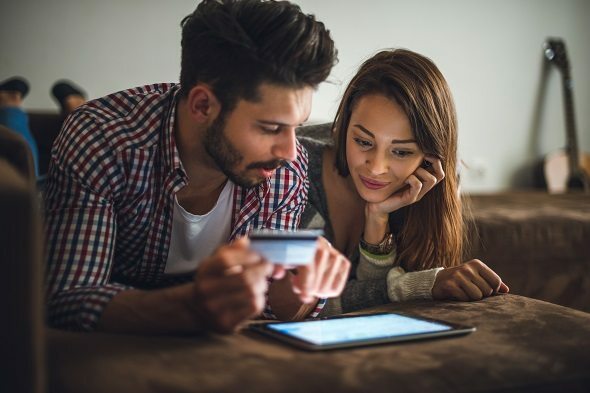 This was created by Amex, Discover, Mastercard, Visa and other credit card leaders to establish standard rules for credit card information storage. One of its main stipulations states that merchants cannot store your CVV after you make a purchase. However, there’s nothing preventing merchants from storing the rest of your card’s information, like the credit card number. This makes it harder for criminals to find the CVV attached to your credit card number. The CVV also works in tandem with a credit card’s magnetic strip and the newer EMV chip technology. The printed CVV on your card is embedded in the card’s magnetic strip. The chip has a digital CVV equivalent called the Integrated Chip Card Card Verification Value (iCVV). So when you use your card in person, whether you swipe or insert the chip, your CVV will still be confirmed. Typically, the issues that arise with CVVs are often self-inflicted by the cardholder. Since it’s hard for fraudsters to obtain your CVV through a credit card database, they turn to other illegal means. This includes phishing and physically stealing your cards. These scams occur as the occasional email or pop-up on your computer, enticing you to make an online purchase. Some scams are easy to spot, due to misspelling or other obvious errors. However, because online merchants so often ask you to enter your CVV, hackers can also include that requirement on their fraudulent page. If you enter your credit card information, including the CVV, the hackers have easily gained access to your account. Of course, there is always the possibility of getting your credit card physically stolen. In this case, the thieves don’t need to hack anything since all your information is there on the card. 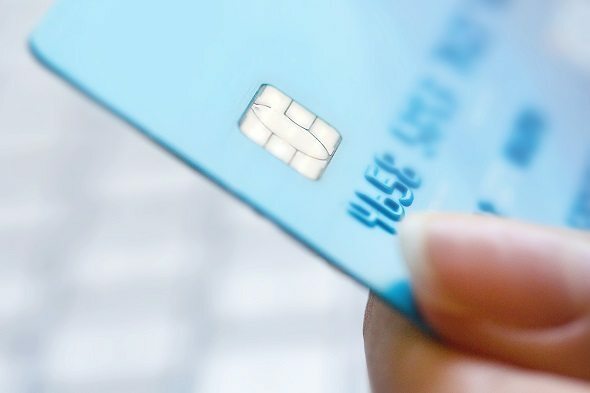 Your best bet is to cancel your card as soon as possible, request a new card from your issuer and dispute any unauthorized charges made to the account. 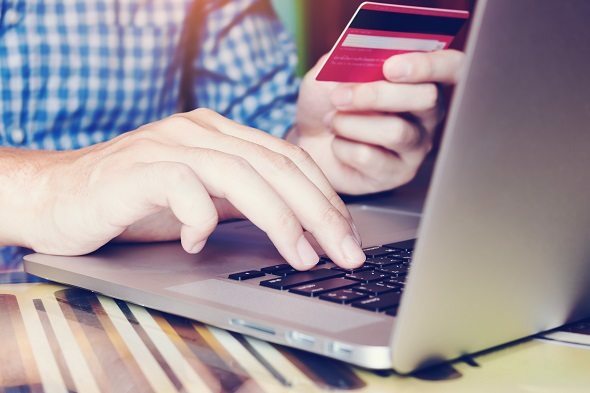 While in-person purchases aren’t entirely foolproof, online transactions put you and your information more at risk of fraud. To combat this, credit card providers created CVVs and their associated regulations to help keep your personal credit information safe. You can help protect yourself, too, by only entering your card information on websites you trust. It’s important to research and find the right credit card for you. When you’re looking through a card’s features, you should look at its security features. Make sure you’re comfortable with its limits. Never engage with any emails, ads or websites that you don’t immediately recognize as legitimate. This includes not clicking on suspicious links and not entering your credit card’s account number, expiration date and especially the CVV. Be sure to look for a “Secure” tag to the left of the web address of any site you’re making an online purchase through. Only encrypted sites feature these tags, so you can feel confident your card’s information will be safe in these transactions.